Over the years there has been a growing epidemic of parents claiming to have been falsely accused of Munchausen syndrome by proxy (MSBP). Many of these parents state that they were only accused of suffering from the condition after they reported that they believed that their child had suffered a vaccine injury. MSBP is a diagnosis given to a parent or caregiver to describe certain aspects of their behaviour. This behaviour usually includes subjecting what appears to be a previously healthy child, to unnecessary painful tests or medical interventions, such as scans, x-rays and surgical procedures to gain the attention of the medical profession. In this investigative report, Christina England reveals that Professor Sir Roy Meadow was the first professional to use the term Munchausen syndrome by proxy in a paper published by The Lancet in 1977. Sir Roy Meadow has strong ties to the pharmaceutical industry and vaccines, and in 2005 he was found guilty of serious professional misconduct by the General Medical Council in the Sally Clark case, and lost his license to practice medicine. 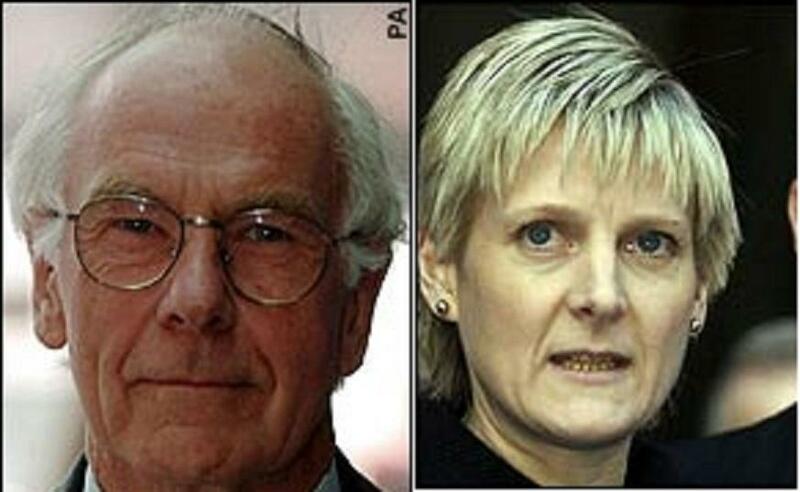 Sally Clark spent 3 and a half years in prison because of false testimony given at her trial by Sir Roy Meadow, where she was being accused of killing her two infant children. It's hard to understand how MSBP is still used as a diagnosis, or allegation, or description of a crime (and it's supporters can't agree on what to call it), when it's clearly been shown to be witch hunt mentality. We expect the medical profession to be of average intelligence and to be able to spot huge gaps in logic as are found in MSBP, and yet this is what was used to abduct my sick child, my only child, from my husband and me in 1999. Dr. Eric Mart has authored an excellent book titled 'Munchausen Syndrome by Proxy Reconsidered' which systematically debunks MSBP (with it's various names), and clearly exposes it's serious flaws. His book is endorsed by leading men in the psychological community, but has been flatly ignored by MSBP supporters. I don't know how anyone could read this book and still endorse MSBP as a legitimate disorder. The profiling check-list used to "diagnose" a mother with MSBP fits an excellent mother just as well. MSBP can be employed for a number of sinister reasons, and lends itself well to doctors who after realizing they've missed an obvious diagnosis, want to discredit the mother and distract from themselves. This strategy works very well....who can think of a lawsuit when her child has just been legally abducted. MSBP is often the preemptive strike made by shoddy doctors, rather than facing the fact they've made a mistake. When CPS is brought into the picture it opens up a whole new, other set of problems equally troubling and dangerous. My heart goes out to mothers accused of MSBP, and to their helpless children who are suffering with an illness and are denied comfort from their mothers, when they need them the most. This is the saddest result of MSBP witch hunts. These days, it is called "Medical Child Abuse". The name has changed, but the corruption remains the same. The only way to protect children and their families is to reform our family court system, and ensure the same rights that criminals, serial killers and mass murders are afforded. - A right to a jury trial. In addition, we need to establish a kin right. We need to put into place an "inheritance" system for children, so that custody of children AUTOMATICALLY reverts to the child specified in a special legal document by parents in case they lose custody, or to the nearest living relative. If the court wants to take the child from THAT guardian, they would need to go through the process described above to prove there is just cause. Bottom line, there has been a fallacy that we need to "err" on the side of caution with regard to children, or that we need to determine the "best interests of the child". This is false. WE NEED TO PROTECT HUMAN RIGHTS, of both the child and the parent, and one of the most basic human rights is for a child to be raised by his parents, and for a parent to raise his or her child. If we violate that human rights, we need to go through a rigorous process to ensure there is just cause. Right now, there is a very wink-wink-nudge-nudge head nod to legal proceedings, without any rigorous protections for human rights. We should never "err" when it comes to human rights. And, the person in whom is invested the right to determine a child's "best interests" is his/or parent or guardian, under human rights of self determination, liberty and privacy. Such a right should NEVER be transferred to a third party, not even a judge, until there has been due process to determine that a person has committed acts which justify that the parent's rights should be abridged. And, in addition to all other human rights that a child possesses, a child has a kin right -- a human right to remain with her parents. It is not just the parent's rights we are violating when we take a child without just cause, it is also the child's human rights that get violated. We have a very corrupt civil court system in this country. It is due for a thorough overhaul. Even when I suspect there is just cause for CPS to take a child, I always doubt their decisions, because I know that adequate protections do not exist in our court system. If we are ever to have faith in our courts, we must include protections for human rights. I have never read a more upsetting book than "Vaccination Policy and the UK Government: The Untold Truth" (and I have only read the first half by Christina England). The outrageous acts against parents seeking help for their Vaccine Injured Children is unconscionable. Parents reading this statement, if you want HEALTHY children and you want to stay FREE to raise them, DON'T VACCINATE THEM. If you want children well enough to care for themselves and for you in your old age, DON'T VACCINATE THEM. If you want your children to survive their first year of life (infant mortality is sky high associated with vaccination, 37 doses recommended through 12 months), DON'T VACCINATE THEM. Christina's story was the most upsetting of all. She went out of her way to give a home to children no one else would adopt, as disabled as they were and reaped the worst accusations for her charity and kindness. The people who participate in evil deeds against families must answer for their actions.